Traditional candy corn is so 2013. 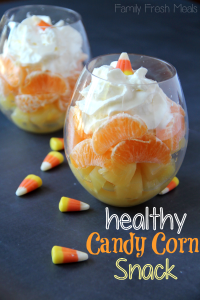 Enjoy a sweet, healthy alternative to condensed sugar this Halloween utilizing fresh, delicious pineapple. 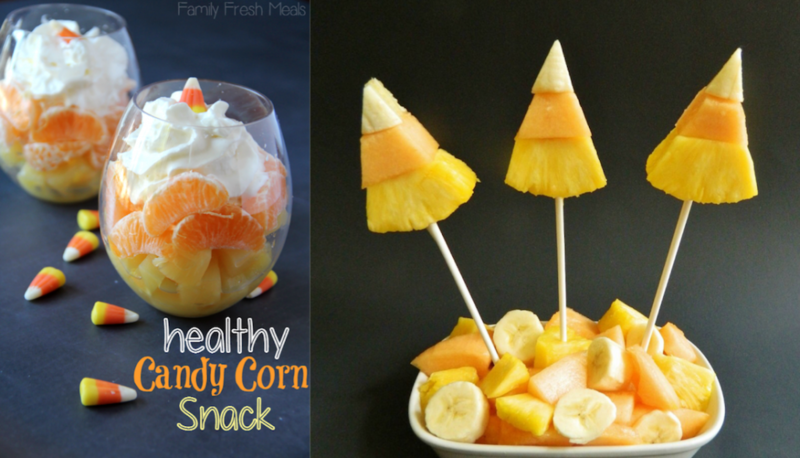 Create your own snackable fruit pops, or layer your candy corn creation in a cup and grab on the go. Cut pieces from the pineapple slices. Then cut the cantaloupe to fit on top. 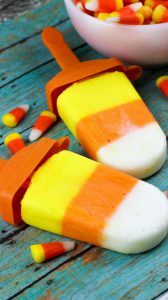 Do the same with the banana so the shape looks like a candy corn. Push in the stick to hold together. Slice up the rest of the fruit & place it in a bowl. Push the candy corn pops in fruit to stand up. Original recipe from Kitchen Fun with My 3 Sons. In a clear glass, layer pineapple, then oranges and top with whipped cream and a couple pieces of candy corn. Serve right away or refrigerate until ready to serve. Original recipe from Family Fresh Meals. It’s the week of Halloween and you’ve just had a terrifying epiphany…there is absolutely no candy in the pantry! You can’t believe it. You’ll need to run out and grab a few bags for those ravenous trick-o-treaters before it’s too late. We hear you! 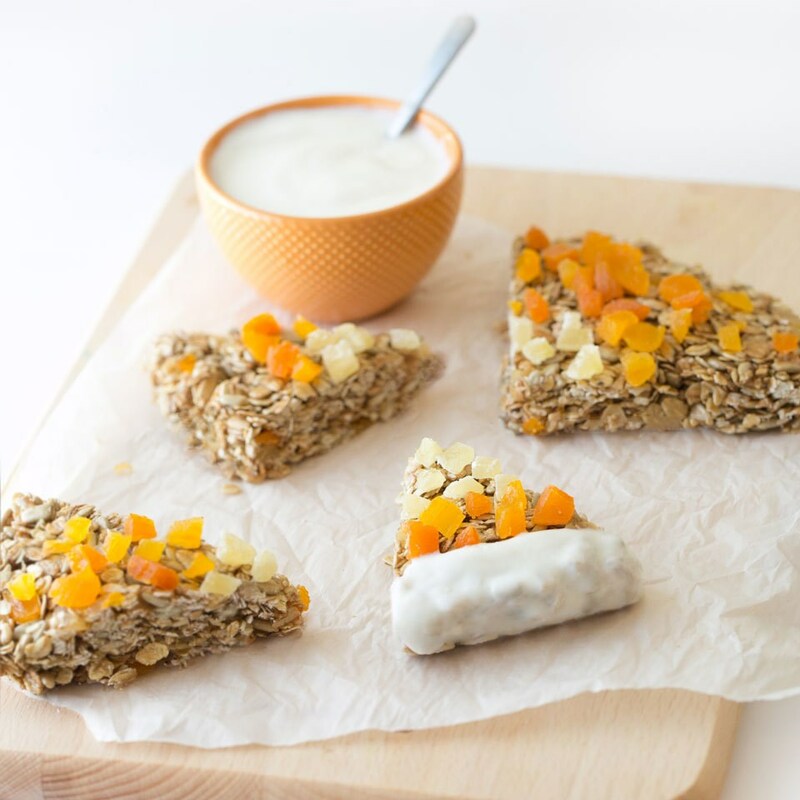 For any parent out there looking to give their kids a bit more of a healthy dose of Halloween, we have the recipe just for you! Created by Family Fresh Meals.com this Candy Corn Fruit Bowl has all the perfect Halloween trimmings without the scary ingredients. Pineapples: So Versatile, It’s Scary! With Halloween just around the corner, we thought it might be fun to show our readers a creative alternative to the standard Jack-O-Lantern. 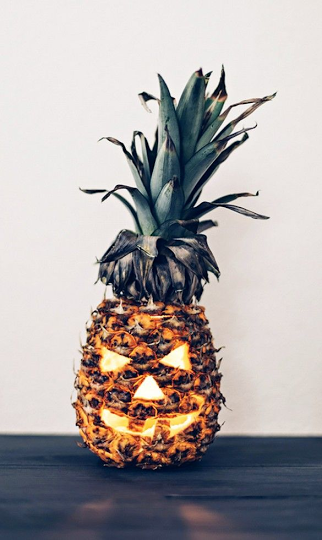 Instead of carving a pumpkin this year, try slicing a pineapple into a slightly scarier form. 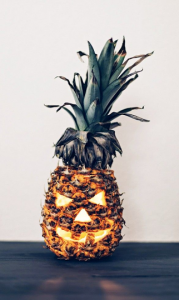 Like a werewolf during a full moon, The Perfect Pineapple can actually be very spooky once a year and, we think, quite possibly a better candidate for this annual doorstep tradition. I mean, come on. A pumpkin just brings its roundness to the (carving) table, but a pineapple? A pineapple comes pre-made with a pretty creepy face and a kooky top hat! Don’t believe us? Give it a whirl tonight in preparation for next week’s big bash. Simply pick up a pineapple at your nearest grocery store and follow these simple steps, demonstrated by this short stop-motion tutorial. The results might just be terrifyingly good.